Having said that, you are advised to review the exam objectives frequently before you appear for the exam, as these are subject to change any time. Click here for the latest exam objectives. 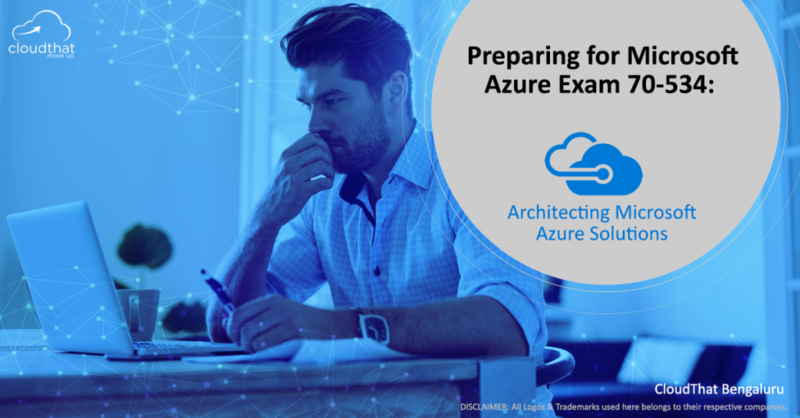 What is Azure Solutions Architect Exam all about? The crux of the exam is to test your ability to design Public and (mostly) Hybrid Cloud Solutions. The expectation is that you fully understand the big picture of the Cloud Services (if not all, at least the once in scope for this exam) that are available and can compare & contrast the service(s) and pick the right one for the given scenario. This is the broader theme of the exam. It would be important to know the “Why” aspect of the services thoroughly, than the “How” of it. In other words, your Design and Architecture skills must come to the fore. You won’t need to flex your coding skills for most part. One Example: When would you choose Azure Storage Queue Vs Azure Service Bus Queue. Exam Experience: The overall exam is split into multiple sections. The exam has 65 questions and you have 150 minutes to complete it. The sections broadly fall into three patterns. You will have case study based questions, where you are presented with a case study in form of Overview, Business Requirements, Technical Requirements, Security Requirements, etc. There will be a series of 4 to 8 questions for each scenario. One catch for these case study questions is (currently as of this writing) you cannot track your overall progress. When you are in a case study section, you only get to see your progress within that section. Also, each case study section does not have a time limit. So, if you are not careful enough you could spend too much time on a given section and be gasping later. Another catch, once you are finished with a scenario section, you cannot return to it. You can mark it for review within that section, but once you have clicked on ‘Finished’, you are done with that section. The second pattern is also scenario based questions. However, in this case for the same scenario, each question will provide a possible solution to the problem statement with different services or approach in each question. You need to select Yes / No or True / False, if the provided solution fits the bill. The exact same problem statement will be repeated for all the questions in this pattern. For example, the scenario presented may be on – The ability to provide reliable messaging between two components with ordered delivery of messages and the choice of solution given in one question could be Azure Storage Queue and in the second question using Azure Service Bus Queue. To me this section was a breather in the exam, in the overall context as the scenarios weren’t that hard. The third pattern is a series of single independent questions. I think it has more than 20+ questions. The topics covered here vary broadly across the syllabus which includes touching on Machine Learning and ASM vs ARM VNETs Integrations. I will now revisit the case study (scenario) questions and explain how I approached them. The overall requirements for the case study shall be provided in a series of tabs with the names like: Overview, Business Requirements, Security Requirements, etc. For each case study, I quickly skimmed through all the tabs and directly jumped to the first question and looked for the problem statement. I then looked for the likely section where I could get specific pointers that could help me nail down the answer. For sure, there will be one or more lines in the requirements that will allow us to do this. Example: In the requirement, you will read something like “The customer is looking for a Hybrid Cloud Solution. The customer needs a fast and reliable connection that does not go over the Public internet“. Immediately the bells should ring and you should take out Site-to-Site and Point-to-Site scenarios out of the equation as they rely on public internet connectivity and think more on ExpressRoute lines. How far is the coverage of ASM deployment model? The short answer is, negligible. If you are anyone like me, who began working only with the Resource Manager model, this it is a good news for you. You don’t need to worry about understanding and preparing for the legacy ASM Model. After November 22, 2016, you would find that ARM Model and related areas like ARM Templates take the maximum pie. The best way to prepare is to understand each Azure Service from a conceptual and design perspective and how we can apply them to real world scenarios. Hands on experience in setting up solutions by bringing together the various Azure services would help. 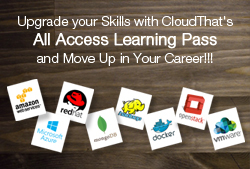 CloudThat conducts a BootCamp that will help you to prepare for this certification. If you are interested to attend, please click here and fill out the form. If you have any specific questions, please post them as comments and I shall reply at the earliest opportunity.